For Torrence Greene, Evin Martin, and Jorel Quinn, 99 1/2 just won’t do. They know that God has wholeheartedly given them His everything and that every word He says is true, so for them, living is all about giving God total praise and total attention. After being individually chosen from hundreds of hopefuls by famed production team PAJAM, Evin, Torrence, and Jorel rock the scene as 21:03. Their debut album Twenty One O Three was a clear touchdown as it earned them the 2008 Stellar Award for Rap/Hip Hop Gospel CD of the Year. Since their debut, the guys have lived in a continuum of physical, spiritual, and professional evolution. 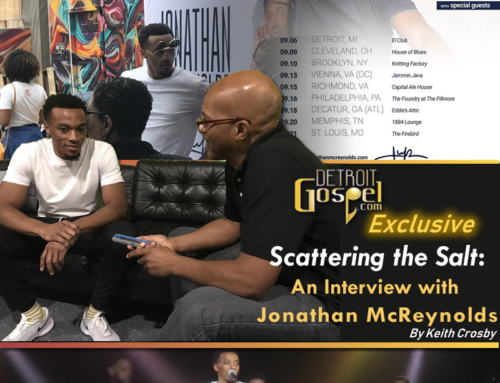 That process has involved a great deal of focus and strength, but everything that Evin, Torrence, and Jorel have been through has prepared them to be effective ministers and a strong presence in gospel music and entertainment. In July of 2008, 21:03 released their second album, Total Attention. 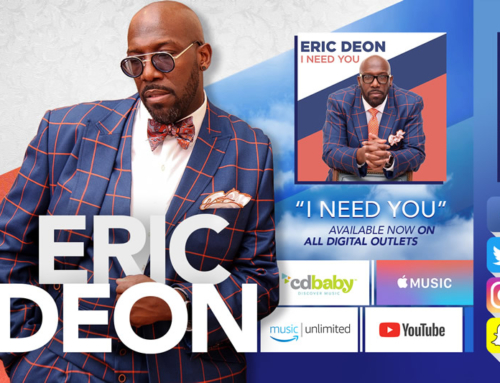 The album features “Cover Me”, their first single and a collaboration with Fred Hammond, J. Moss, and Smokie Norful that impacted radio airplay charts with a bang upon its release. With production by PAJAM, this project saw the guys assuming a more active part in the creative process. 21:03’s hot urban sound is balanced effectively with their streetwise image and lyrics, but the life of the group is driven by their devotion to the Lord as young men, and that in turn inspires the direction they took on Total Attention. What’s changed with you guys since you recorded your first album? A lot has changed. We’ve grown spiritually and we’ve taken a more creative role. In fact, we wrote about half of this project and we have pre-production credits. We’ve been through a lot and we have the stamp of approval from people in the industry. You all won a Stellar Award earlier this year. What was that like? God blessed us to start off 2008 with a Stellar. It was awesome knowing all the hard work paid off and seeing that people receive you well and give you a physical award. When we heard them call us, we were ecstatic! You just released your second album, Total Attention. When you were recording, was there a particular direction that you wanted to take? When you first come into the industry, you don’t know the ropes or the craft of songwriting. You give the best you know how, but as you grow, you know what works and what your audience likes. We wanted songs that could connect with our audience, songs they would like. The whole concept of the album comes from Mark 1:15, where it says “the time is fulfilled, and the kingdom of God is at hand. Repent and believe the gospel.” We take that to mean that everyone needs to get their attention back on God. Matthew 6:33 says “seek first the kingdom of God and His righteousness, and all these things will be added unto you.” A lot of things are going on right now, but we don’t have to worry about those things if we’re kingdom-minded. We wanted songs that were relevant to the things that we’re going through. We also didn’t want people to think that because PAJAM put us together that we’re not being ourselves. We wanted it to be our hearts. 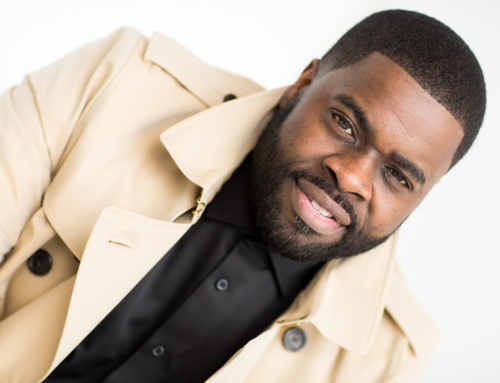 The first single from Total Attention is “Cover Me”, and it features Fred Hammond, J. Moss, and Smokie Norful. 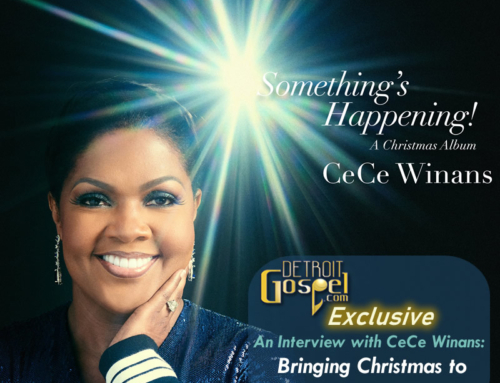 How does it feel to have three gospel powerhouses work with you on your first single? Being from Detroit, we have a whole slew of artists that came before us; so many of them came from Detroit. Being young coming up in this industry, we studied those people, and to have those three on our song, we count that as a blessing. We’ve been having such an awesome experience singing “Cover Me” live. Who else did you guys work with on this project? 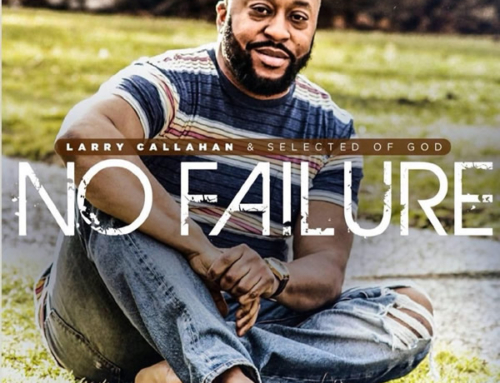 PAJAM has a Christian rapper named Chris Clark. He’s on a song called “Time for a Change”. PDA came in and did his thing on “Brace Up”. You guys have accomplished a lot so far in your career and ministry. How do you stay grounded as young, successful gospel artists? It isn’t that hard because we have it in perspective that it’s not about us. We have supportive families, and PAJAM is not going to ever let us get ungrounded. When you follow in the footsteps of people like J. Moss, it helps. We’re also still connected to our home churches. We’re not too big to sing on our praise teams or work in ministry. What was it like shooting the video for “You”? The shoot went all day; we started at 11am and we went all the way until 3am. We had a great time! We’re excited that our being there all day wasn’t in vain. We’re young guys in the industry, and to have a video for this song was a good experience. The shoot was all day because we shot two videos. There’s another one for “Time for a Change” coming out later this year. We wanted to show our versatility, so we did two videos, two varying sounds and images. It was great and we’re grateful. Do you get any feedback from a secular audience or secular artists in the industry? People [have responded], and to know that your music is not only reaching the church, but the world, too, it’s a blessing. We want to take our music to the people that don’t get church every Sunday. [With our image], we break the rules of tradition. It’s crazy when you look at groups such as Commissioned and the Winans, and people from the secular side say they used to listen to those guys. To see that your music has the potential to touch so many lives, that’s a blessing. You can visit 21:03 on MySpace at www.myspace.com/twentyone03 and on YouTube at www.youtube.com/2103tv.